The 2014 FIBA Basketball World Cup is formerly known as the FIBA World Championship. 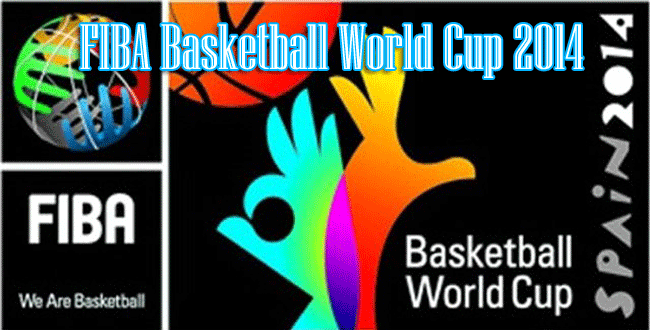 And for the record, this is the 17th edition of the FIBA Basketball World Cup that will start this 30th of August until 14th of September on host country Spain. The winners of this competition in Spain will automatically be qualified for the 2016 Summer Olympics in Rio de Janeiro, Brazil. And just in case Brazil will win, the runner-up will be joining the summer Olympics since Brazil is the host country. Before officially announcing that Spain will host the basketball world cup, there were nine countries that showed interest in hosting the said event. Because of that, letters of intent were submitted on January 30, 2008 wherein on January 10, the bidding was opened. The countries that showed their interests in hosting the world cup were Spain, France, Denmark, Russia, Saudi Arabia, Qatar, Italy, Greece, and China. The selection of host continued as the list of nine countries was compressed to three, China, Italy and Spain. And on May 23, 2009, China was eliminated on the first round of voting. On the final round of voting, Italy got 8 votes while Spain got 11. Arvydas Sabonis and Saša Djordjević announced that Spain will be hosting the 2014 FIBA Basketball World Cup. Talking about the number of teams for 2014 FIBA Basketball World Cup, there will be 24 and they will come from the following: 1 from the host nation, 1 from the 2012 Summer Olympics , 3 from FIBA Asia, 2` from FIBA Oceania, 3 from FIBA Africa, 4 from FIBA Americas, 6 from FIBA Europe , and 4 from Wild card. Pot 1 is composed of Argentina, Lithuania, Spain, and United States. Pot 2 is composed of Angola, Egypt, Senegal and Finland. Pot 3 is composed of Iran, South Korea, Philippines and New Zealand. Pot 4 is composed of Croatia, Serbia, Slovenia and Ukraine. Pot 5 is composed of Brazil, Dominican Republic, Mexico and Puerto Rico. Pot 6 is composed of Australia, France, Greece and Turkey. The competition will go through round of 16, quarterfinals, semifinals, third place playoff and then the finals. Let us support the Gilas Pilipinas in this competition. Let Gilas Pilipinas raise our banner as they compete for the 2014 FIBA Basketball World Cup in Spain this August 30, 2014.